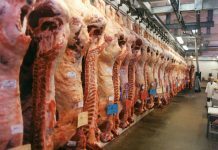 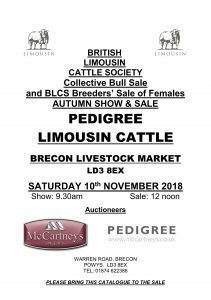 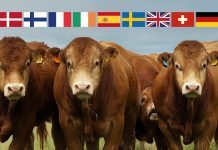 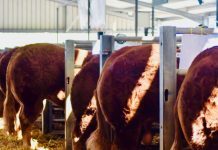 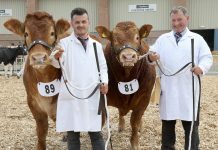 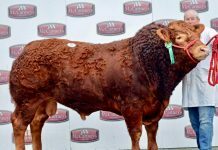 The BLCS Autumn Show and Sale of pedigree Limousin cattle at Brecon Livestock market takes place on Saturday 10 November 2018. 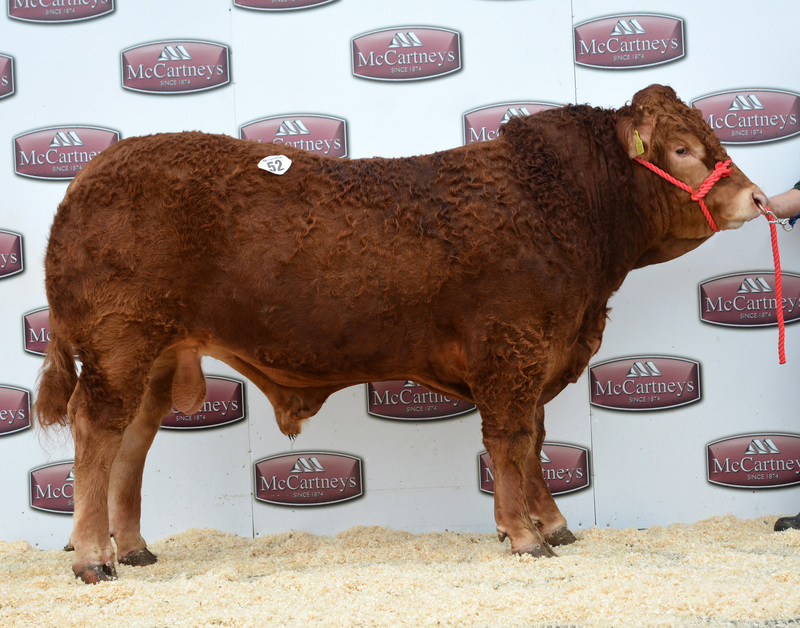 Comprising of 49 bulls and 10 females, the catalogue can be downloaded here. 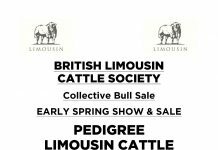 It is also available on the LimSale App. 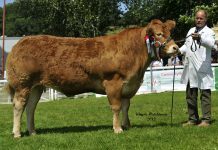 The show starts at 9.30am and is being judged by Mr Price, Reddragon herd, Carmarthen. 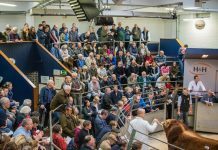 The sale is scheduled to commence at 12 noon.